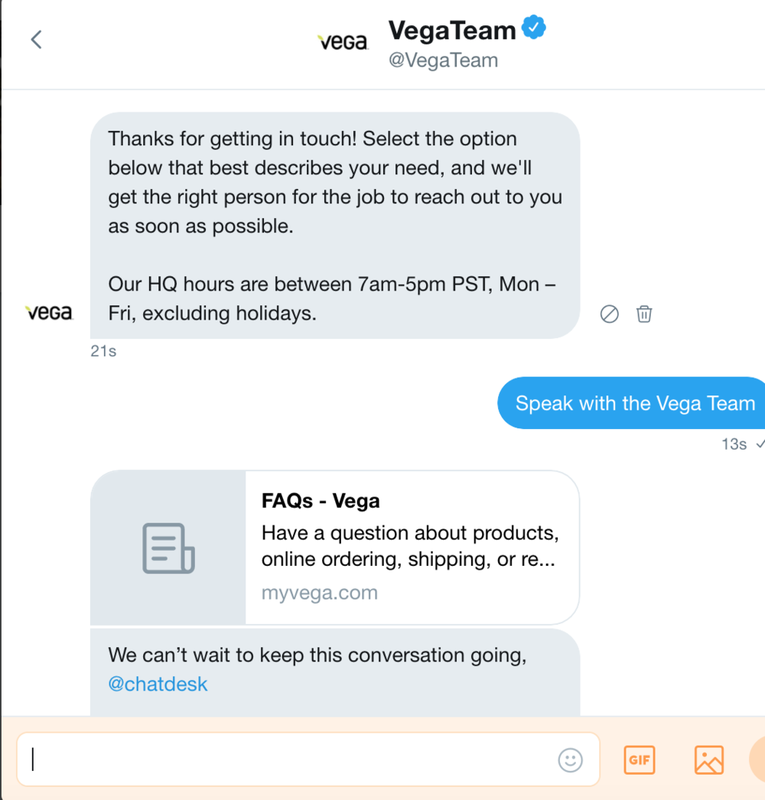 Vega's Twitter chat bot allows users to connect with the CX team: the Vega Educators. Helps customers find local Vega locations. Includes additional information on Vega professional and personal as well as event sponsorships.